Setting out a manifesto for change in Yorkshire. THE COMING General Election is a moment when Yorkshire can make its voice heard and demand the next Government addresses its major challenges. Visits by both Theresa May and Jeremy Corbyn to the region so early in the campaign are a sign of how valuable they believe Yorkshire votes will be on June 8. But there is a very real risk that addressing this region’s needs could slip down the national agenda. 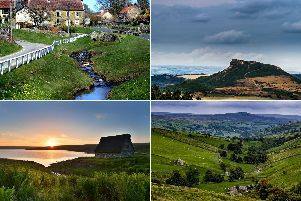 It is with that in mind, that The Yorkshire Post has today made settling the devolution question a priority so that more of these crucial decisions can be taken closer to where their impact will be felt. But there are many other areas where the next occupant of 10 Downing Street can take action to improve the lives of Yorkshire people. Here, The Yorkshire Post’s specialist writers set out the key areas for action for the next Government.